His professional career had stalled by the 1950s, but it was reborn in 1954 after he won the Academy Award for Best Supporting Actor, for his performance in From Here to Eternity. He signed with Capitol Records and released several critically lauded albums, In the Wee Small Hours, Songs for Swingin’ Lovers, Come Fly with Me, Only the Lonely and Nice ‘n’ Easy. He left Capitol to found his own record label, Reprise Records, finding success with albums such as Ring-A-Ding-Ding, Sinatra at the Sands and Francis Albert Sinatra & Antonio Carlos Jobim, he toured internationally, was a founding member of the Rat Pack and fraternized with celebrities and statesmen. 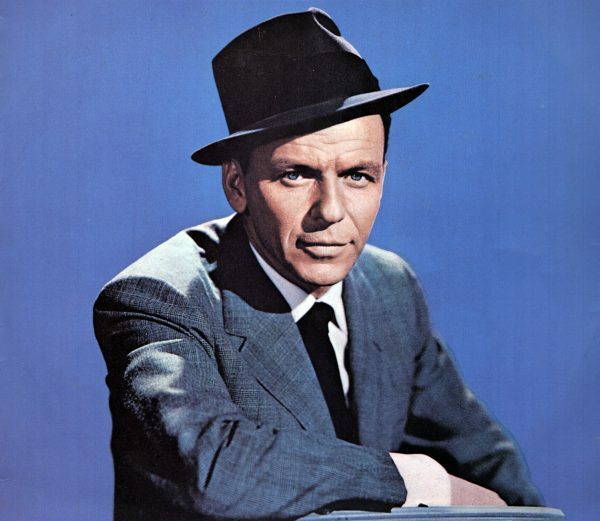 At 50 in 1965, he recorded September of My Years, starred in the Emmy-winning television special Frank Sinatra: A Man and His Music, and scored hits with “Strangers in the Night” and “My Way”, a song composed by Canadian crooner Paul Anka. Among his awards he was the recipient of eleven Grammy Awards, including the Grammy Trustees Award, Grammy Legend Award and the Grammy Lifetime Achievement Award. He also won many other awards for his film acting career. He died from a heart attack in Los Angeles, California, following a long battle with coronary heart disease, kidney disease, bladder cancer, and dementia on May 14, 1998 at age 82.